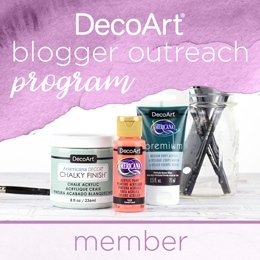 DISCLOSURE: My blog contributor was compensated with a product sample by NameBubbles.com for this post, but the opinions are all ours and not that of the company! 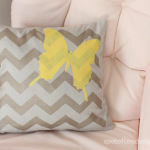 Know that Spotofteadesigns.com only promotes products which have been personally tested and ones we’d stand behind. To learn more, please review my disclosure policy here. You may remember a me showcasing a fun and coordinated Gender Neural Modern Animal Nursery back in September. 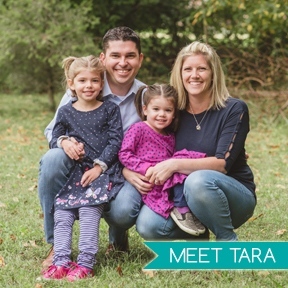 It was lovingly put together by SOTD contributors, Allie and her hubby Tim for their son prior to his birth. 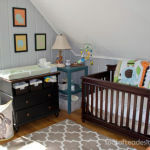 Now that he has made his arrival (one year ago this April actually) they’re back to share a fun addition to the room! 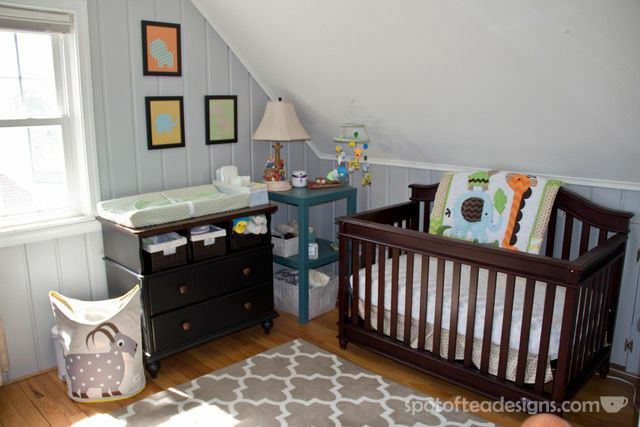 This nursery is located on their top floor and included a slanted wall above the crib. The dilemma had always been what to put on this wall that was fun yet safe for baby. 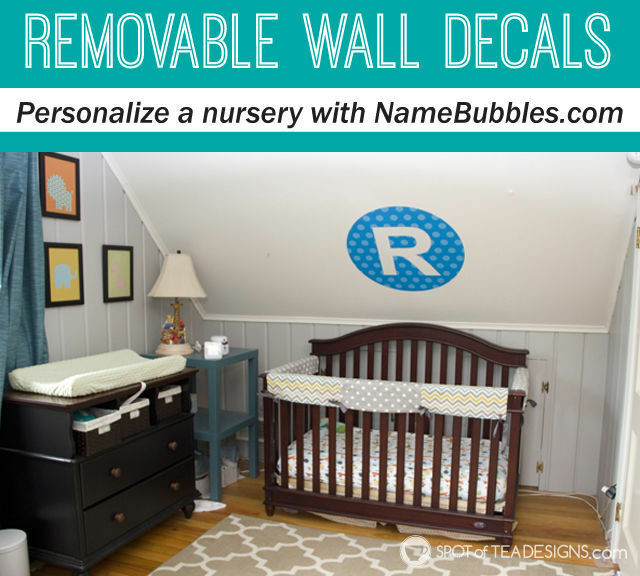 Luckily NameBubbles.com had the answer with their new fun 27″ circular letter wall decals! 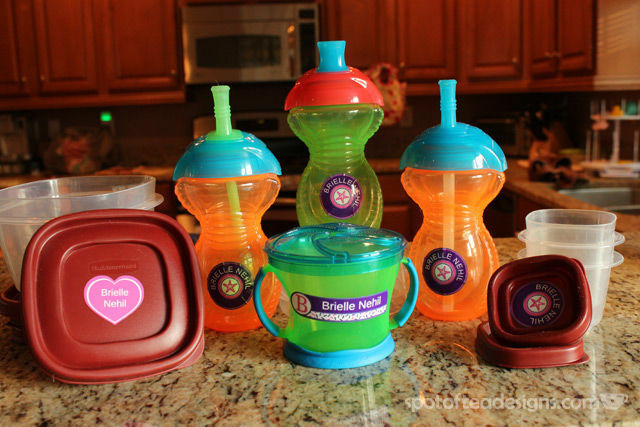 SOTD readers may already be familiar with the company NameBubbles.com as Brielle used their labels for all her food container, sippy cup and clothing items we bring to daycare. 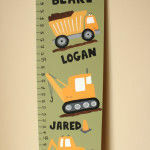 They are now offering these fun letter decals to get that fun monogram look at home without messy paint and stencils. 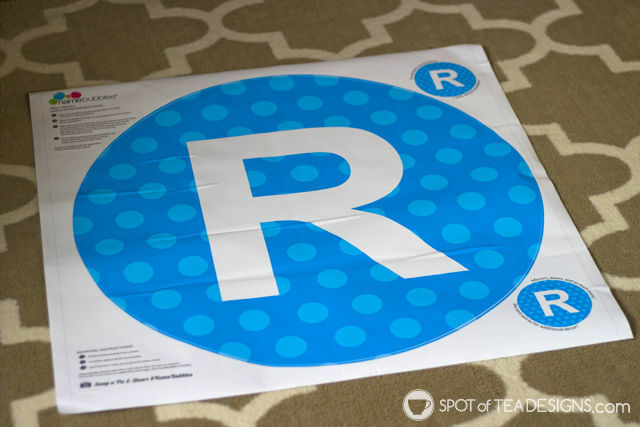 Allie chose the polka dot background in Bright Blue/Sea Blue/White in a bold font. You can easily see how your design will look with their interactive website. 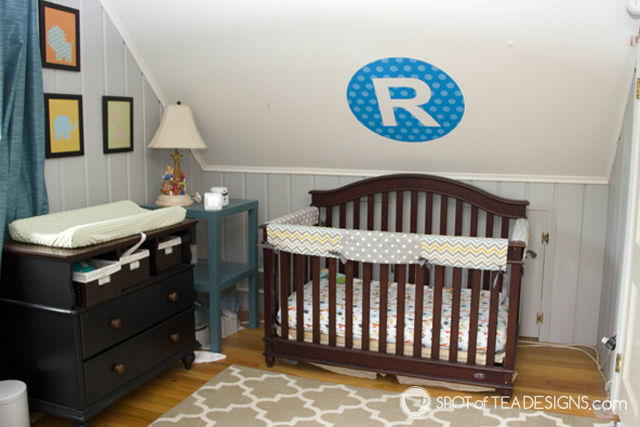 Bonus: the sheet included two extra smaller decals that can be used in other places in the room or to personalize toys! The directions could not have been more simple. 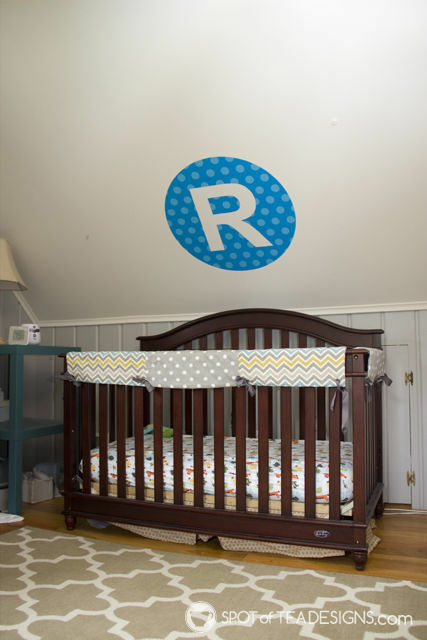 Despite it’s larger size, Allie was able to easily apply this decal without the help of a second person and was pleasantly surprised to see it was made of a thick material and it didn’t bubble or wrinkle upon application. She even said she couldn’t believe how fast it was to apply as it was much easier than ones she’s purchased in the past. The large decal is both repositionable and removable if she didn’t like where it was placed the first time or wants to move it to a new location at a later date. 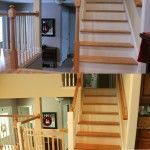 I personally love that it made good use of this otherwise unusable slanted ceiling space! 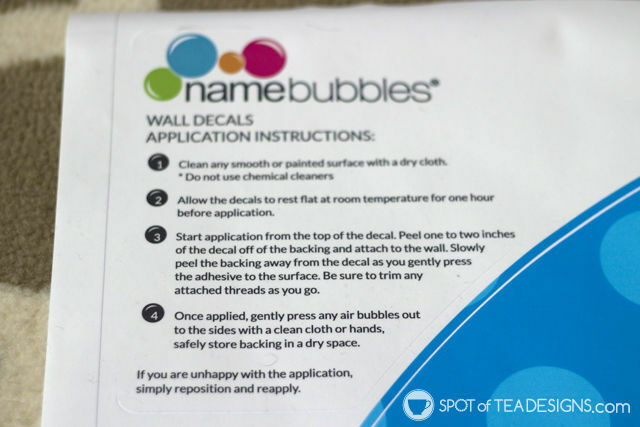 To learn more about these Made in the USA letter wall decals from Namebubbles.com, make sure to visit their website, or get inspired from their Facebook, Twitter, Instagram or Pinterest accounts!